ReScript Books is an imprint dedicated to bringing back into print from time to time works of literature that have been unavailable, or are ill served by current editions. The imprint launched in 2011 with two titles: Dracula's Precursors, a collection of three early vampire tales, including the neglected classic "The Mysterious Stranger"; and The Ivory Gate, which includes later poems and fragments by Thomas Lovell Beddoes. 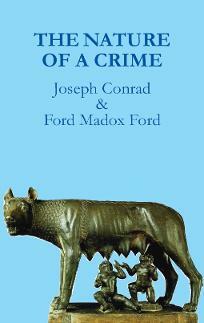 In October 2012 the first annotated edition was published of The Nature of a Crime, a collaboration between Ford Madox Ford and Joseph Conrad, out of print since 1924. 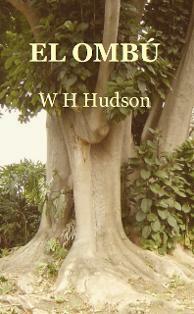 In June 2015 a new edition of WH Hudson's tales of the Pampas, El Ombú, with an introduction by David Miller, was published. 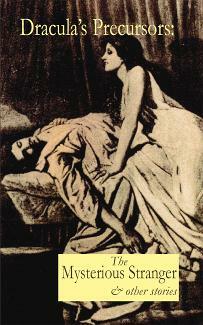 Future ReScript Books titles may include books by Henry James, J Sheridan LeFanu, Richard Jefferies and many others. Gothic and Romantic and early Modernist works will be featured. The books are well designed and edited trade paperbacks, many with useful introductions and notes. W H (William Henry) Hudson was born in Argentina in 1841, the son of Americans of British ancestry, and moved to England in 1874. He was distinguished as both a fiction writer and a naturalist, whose publications included Idle Days in Patagonia, The Purple Land, El Ombú, Green Mansions, A Shepherd’s Life and Far Away and Long Ago. His literary associates included Joseph Conrad, Ford Madox Ford, R B Cunninghame Graham, George Gissing and Edward Thomas. Hudson died in 1922. This edition of the novella “El Ombú” (with three other stories of the Argentinian pampas: “The Story of a Piebald Horse”, “Niño Diablo” and “Marta Riquelme”, as well as an appendix to the original tale) includes an extensive critical introduction by Hudson scholar David Miller. The Nature of a Crime, the third of three collaborations between Joseph Conrad and Ford Madox Ford, was originally written when the two men were living in Winchelsea, Sussex, in 1906, but not published in book form until 1924, shortly after Conrad’s death. The story takes the form of a series of love letters written by the unnamed narrator to a married woman, who is visiting Rome. In them, he states his intention to commit suicide as he anticipates being found out in a financial scandal. This new edition includes both writers’ prefaces, and Ford’s description of his first collaboration with Conrad (on the novelRomance) as an appendix. Edited by Robert Hampson, it also includes an informative Afterword and is fully annotated. An evocative setting in the Carpathian Mountains; an enigmatic aristocrat living alone in a vast ruin who seems to have dominion over wolves; a vampire who retreats to a coffin in a ruined crypt during the daytime and can only be vanquished by staking; a beautiful young woman in peril.... No, this isn’t Dracula, but a story written some 70 years before Bram Stoker appropriated these elements for his classic novel. “The Mysterious Stranger” was published anonymously in German in 1823 and translated into English soon after, during a time of enthusiasm for all things Gothic and Romantic. Long out of print, it is presented here along with two other less familiar early vampire tales: “The Last Lords of Gardonal” (1867) by William Gilbert, the father of the famous D’Oyly Carte librettist, and Mary Cholmondeley's 1890 chiller, “Let Loose”. David Annwn’s informative introduction sets the context. Thomas Lovell Beddoes (1803-1849) was an English poet and dramatist whose early playThe Brides’ Tragedy was highly praised. He studied medicine at the Universities of Göttingen and Würzburg, where his involvement in radical politics led to his deportation. He spent the rest of his life in Switzerland and Germany, continuing to write but showing only occasional and fleeting interest in publication. His celebrated drama Death’s Jest-Book and his Collected Poems were published posthumously. 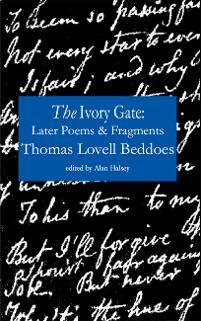 This volume, edited and with an introduction by Alan Halsey, makes available separately for the first time the surviving text and fragments of Beddoes' unfinished work The Ivory Gate, together with a collection of his later poetry.